Just got home last night from my long weekend in Southern California. 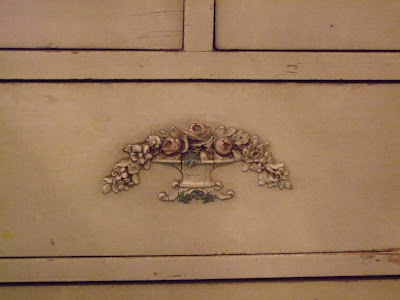 I had a great time visiting with my family and going to some of my favorite antique places. 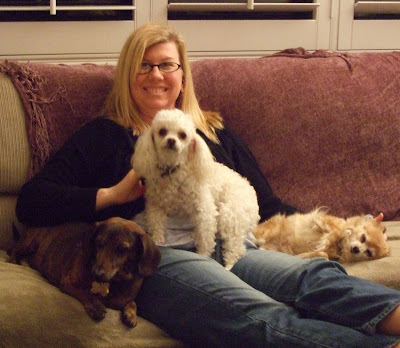 I arrived on Thursday night and was warmly greeted by this crew. Friday morning my dad and I were up early to grab a bite at this popular local restaurant. This is what I had. YUM! 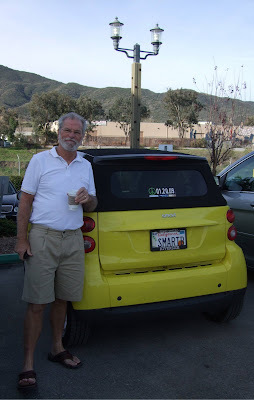 My dad and his cute "smart B" which I got to drive while down there. 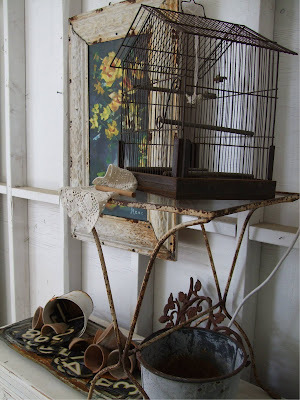 We then boogied on over to the La Maison Rustique sale. As always, eye candy everywhere. 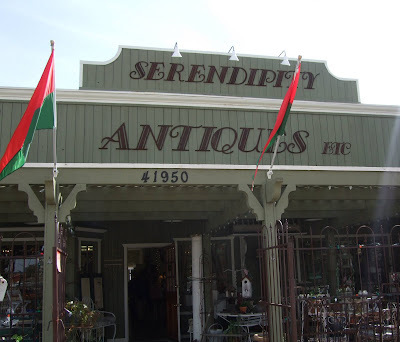 After that we headed over to some other antique shops in Temecula including this place. Seredipity is always a must stop at shop when I come down for a visit and it didn't disappoint. I wasn't allowed to take pictures inside so you'll have to trust me, it is an adorable shop with lots of great bits and pieces all so artfully arranged. 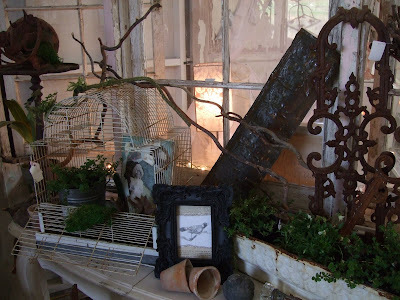 This amazing blogger has her fabulous creations here. 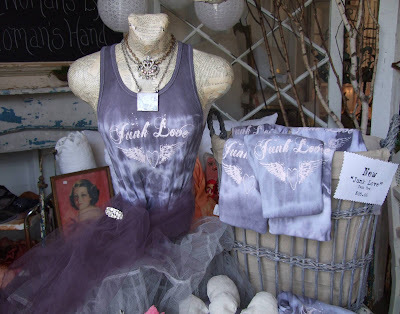 We then headed to the town of Fallbrook where we stopped at the Rusty Creek Boutique . A big old barn full of goodies. While there I met Gina who has a blog too. Saturday morning found me up and at 'em playing tennis with my dad. The last time I played was with him on my visit last year so he was killing me, but it felt good to get the exercise. Now I'm motivated to play more and I think I just may have found a partner to play with me. After tennis, a hot shower and a quick stop at In and Out Burger (Yum again! 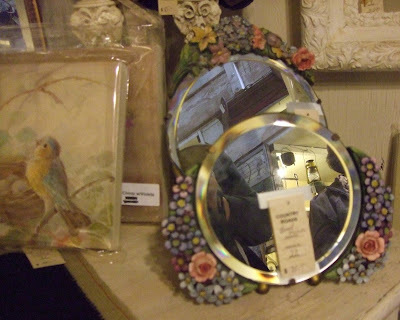 ), we drove out to the City of Orange to visit this most incredible antique mall. I was so busy looking at all the wonderful stuff I didn't get many pictures, but here are few for your viewing pleasure. I had been here several years ago and had fond memories of great stuff, but I was amazed at all the awesomeness they had there. After spending about 2 hours and a little bit of money at Country Roads, we visited a few more stores in the area, but none could even compare. That evening we spent some time visiting with my Aunt and Cousin and had dinner at Hof's Hut. One of my favorite Southern California chain restaurants. I had a wonderful shrimp and crab melt but forgot to take a picture. Trust me though, it was beautiful for about a minute until I dug into it. 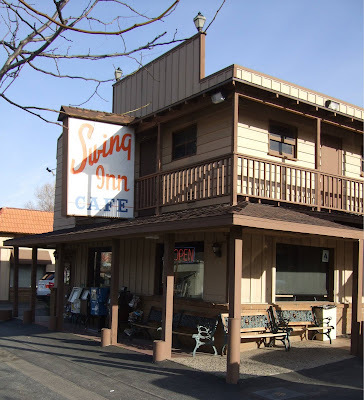 On Sunday we went out for breakfast at Swing Inn again. 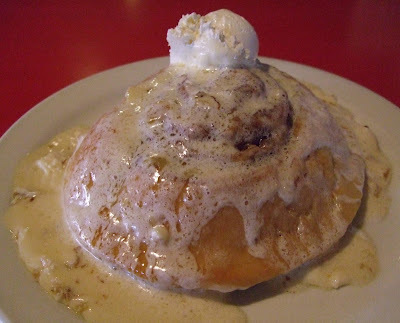 This time I had yummy biscuits and gravy. After that my step mom and I went and had our toes done. What do you think? I've never had my toes painted black before. My daughter always says that I pick boring colors so I thought I would surprise her with the black. 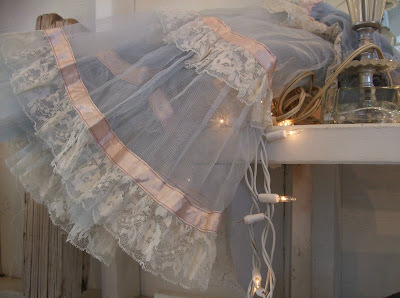 I love the little flowers with the rhinestone centers. Such fun! Sunday evening we had a little Academy Awards party at my dads house. I think this was the first time that I actually watched this show from start to finish and I have to say that I think they and Hugh Jackman did a fabulous job. On Monday morning I packed for my trip home, trying to get everything I bought in my suitcase. I bought some great stuff which I'll have to show in my next post. We did hit a few thrift stores while down there, but I found nothing there. I know I promised I'd do a giveaway for my 200th post on this post, but I'm going to have to wait a bit. Honestly, not sure what to give away just yet, but I'll figure it out. And soon. Hope you enjoyed coming along with me on my little trip. As with any trip, for me at least, I love getting out of my regular routine and seeing and doing new things, but it is always so nice to be home. What a wonderful trip filled with such treasures! It was such a treat to meet you and swap blogs. 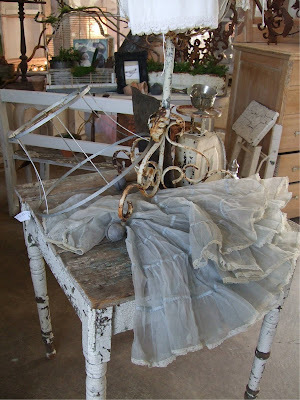 Maybe one of these days we will meet again antiquing or even at a crafting event. I'm drooling....I love all those rose pictures that one shop had! I love that wiener dog! I think I would have had a heart attack from riding in that small car...though it looks cute! It looks like heaven. 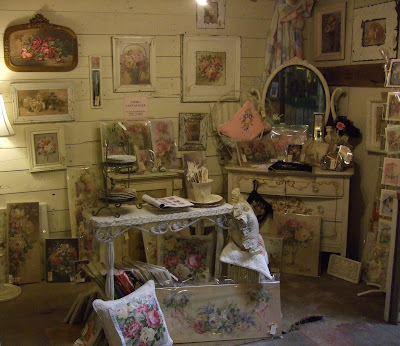 I love the wall of Rose Paintings!!! I thought we were gonna have to send the National Guard after you! Oh it looks and sounds like a perfect visit! 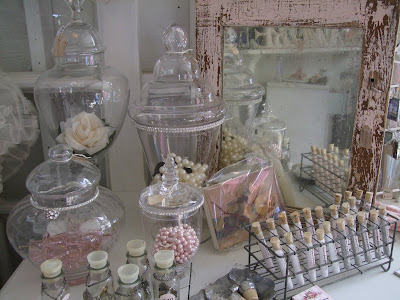 LOVED all the photos of all the pretties you saw in the shops, souncs like such fun!! Thanks so much for sharing~great job in 'steppin out' of your 'boring' (lol!) colors,,kids! Looks like you had a great time.. i know if i was in those shops i would have felt like i was in antique heaven. I was drooling over some of those photos. Wow! What an insanely awesome trip you had! LOVE the black toenails with flowers! Sounds like you had a great trip.....and it sounds like MY kind of trip! Glad your back, sorry I can't get over tomorrow, but too many things were making it not happening. I hope to see you soon! Welcome home! 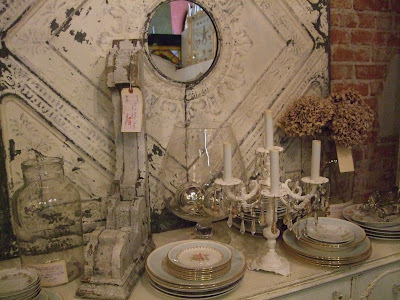 I love SoCal - always so nice... Ok, those barbola mirrors are too sweet - they're on my "someday" wish list... I loved the Oscars this year too - Hugh was definitely not hard to look at. hehe Can't wait to see your souvenirs. Lovely pictures, lovely toes!...oh, and your dad is cute! Love the toes, the pinafores, and the ..... what is that, Death on a Plate? Looks absolutely sinful! 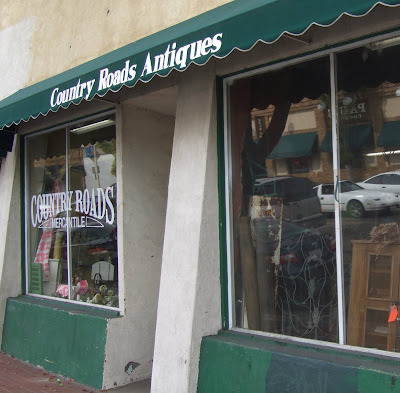 FALLBROOK has an antique store now?!?!? WOW! I graduated from Fallbrook High in 1972 (family moved to Oregon just after that) and there was NOTHING in Fallbrook back then, except The Villager where we had to buy our gym suits! My best friend's parents still live in Fallbrook, but she is now in Poway. Boy your Dad is a good sport,driving all over OC and then some. Antique shopping is sooo much fun. 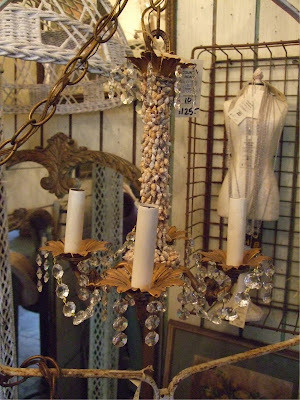 I see you stopped into Country Roads, I happen to sell there, you have a photo of my shell chandelier in your post. Glad you had a good time while in CA, come back soon. 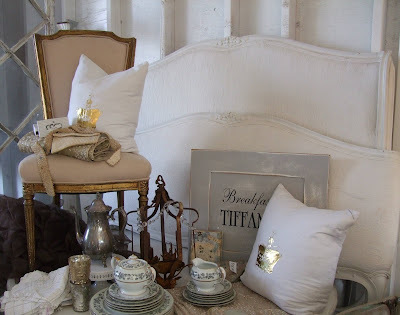 i am enthralled by all the beautiful photos on this post! 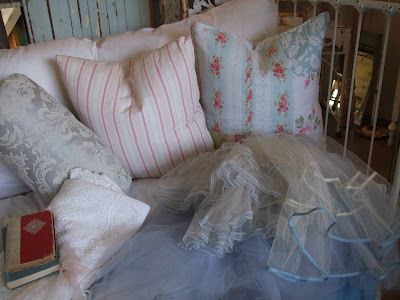 so many lovely things...sigh.